When I think of some of the greatest leaders in crochet—those who are developing incredible techniques and making innovative patterns—I always think of Lily Chin. She has been my go-to resource for 2-color Tunisian crochet, and now I’m excited to learn more about mosaic crochet. Mosaic crochet is a way of making unique color patterns and textures without needing to switch colors mid-row. Instead, color work is created by working into stitches 3 rows below. Wondering whether mosaic crochet is a technique you would enjoy? This post includes a small tutorial. Then you can get started with the Mosaic Snowflake Hood from Interweave Crochet Winter 2019. The I-stitch is a way of dropping down to create a line of vertical color. 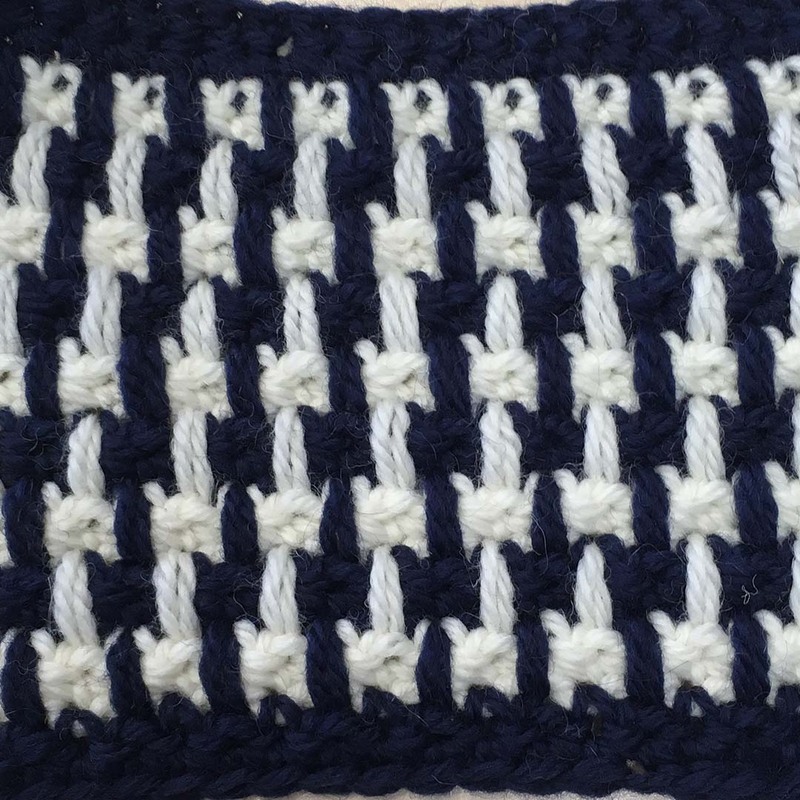 Check out this swatch to see what a series of I-stitches looks like. 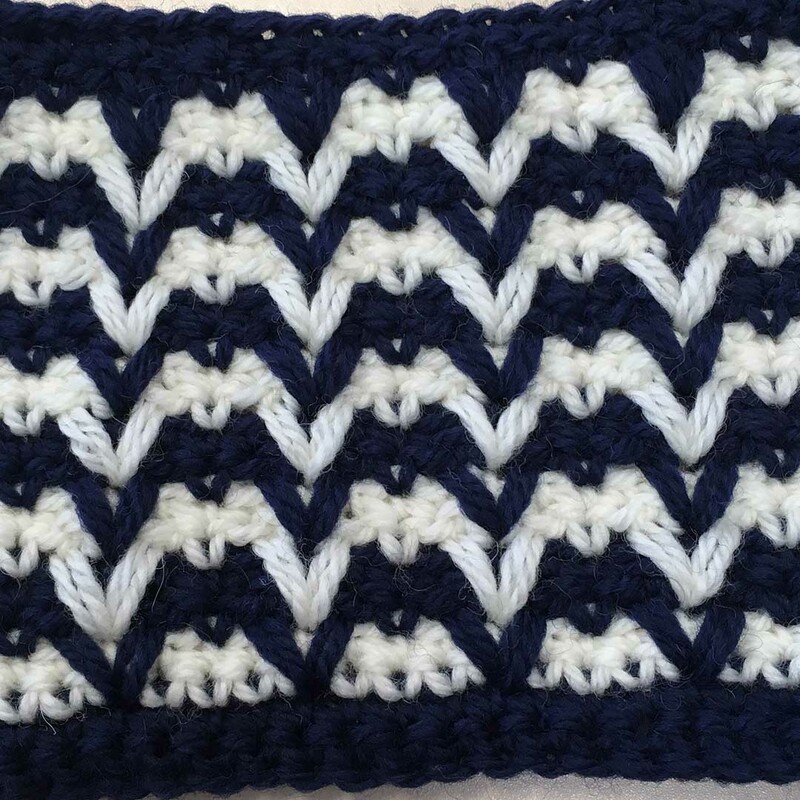 The V-stitch creates a visual “V” that allows for layering of different colors, and it creates a great texture. Take a look at the swatch below to see layered V-stitches. You can also create right- or left-slanting stitches that make up just one half of the V-stitch. 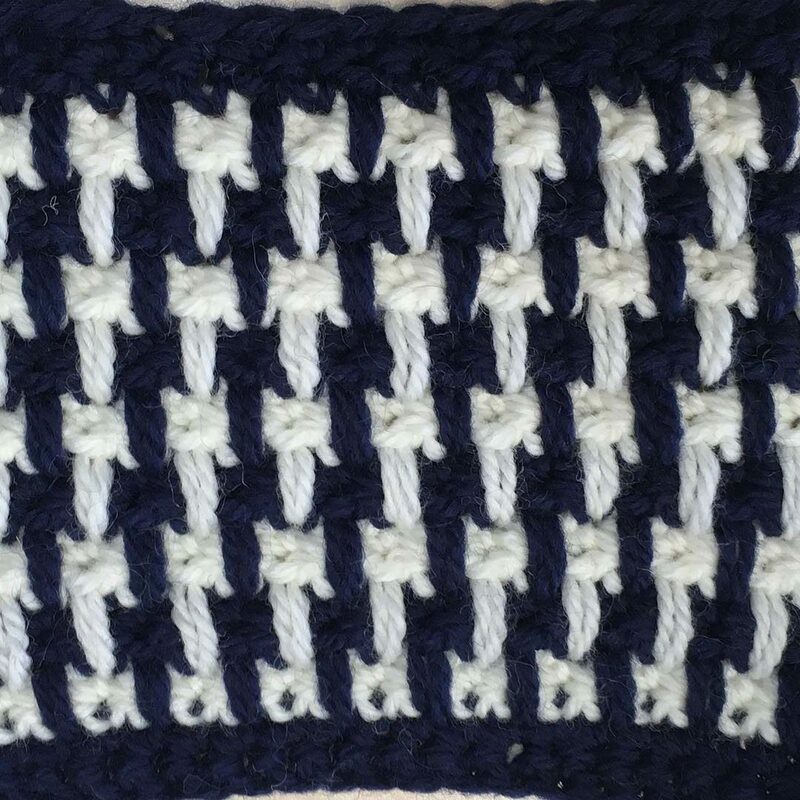 You can create all kinds of intricate patterning by mixing and matching these slanting stitches. 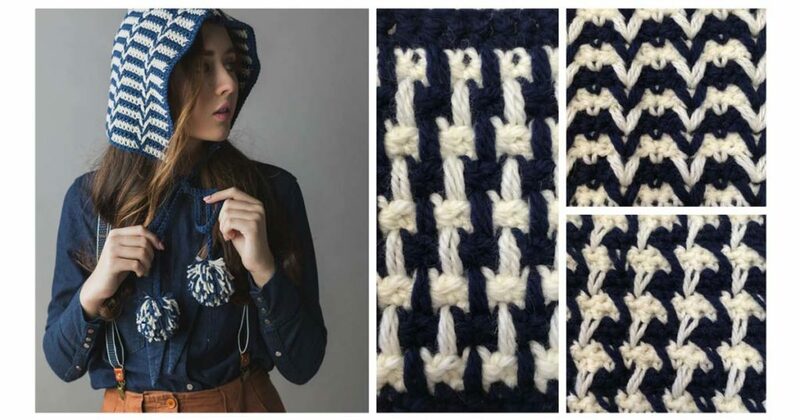 Not only does Lily demonstrate these basic stitches, she also shows you different ways to combine color, ways to combine the stitches, and what the different stitch combinations look like with varying kinds of yarn. 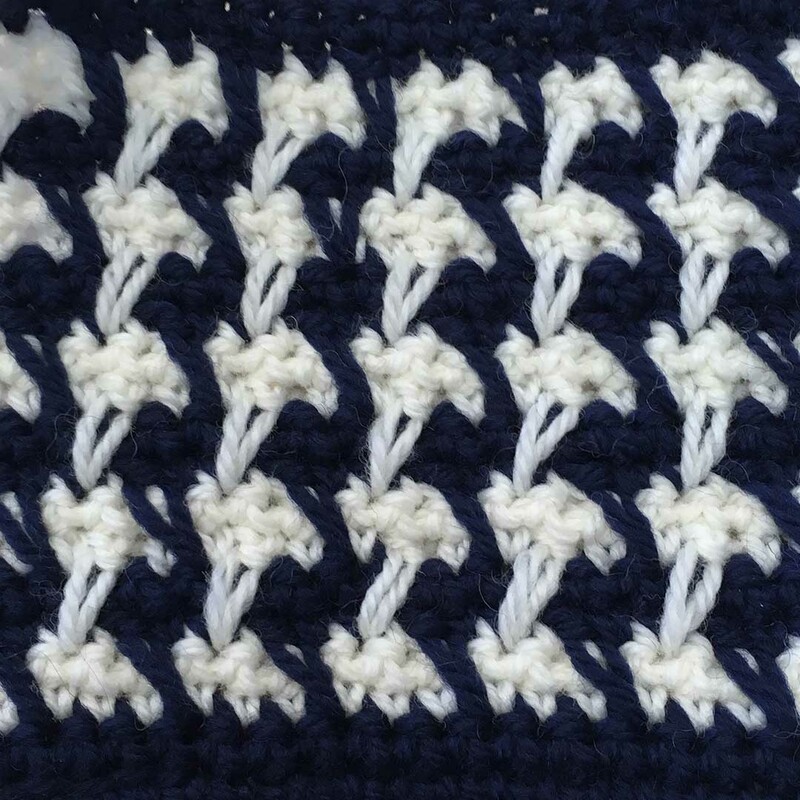 As the class progresses, she shows you how to create X-stitches and “chicken foot” stitches, as well as how to work each with a post-stitch variation. She even covers how to apply the mosaic-crochet techniques to Tunisian crochet! The possibilities are endless, and Lily offers so many incredible examples! You won’t want to miss this incredible video, which shows you all the potential for mosaic crochet! You can easily apply all the stitch variations you learn from this video to the Mosaic Snowflake Hood if you want to include an added challenge. There are also so many possibilities for incredible afghans and even garments. Lily, in fact, shows some incredible garments and accessories at the very end. Which project will you start first? 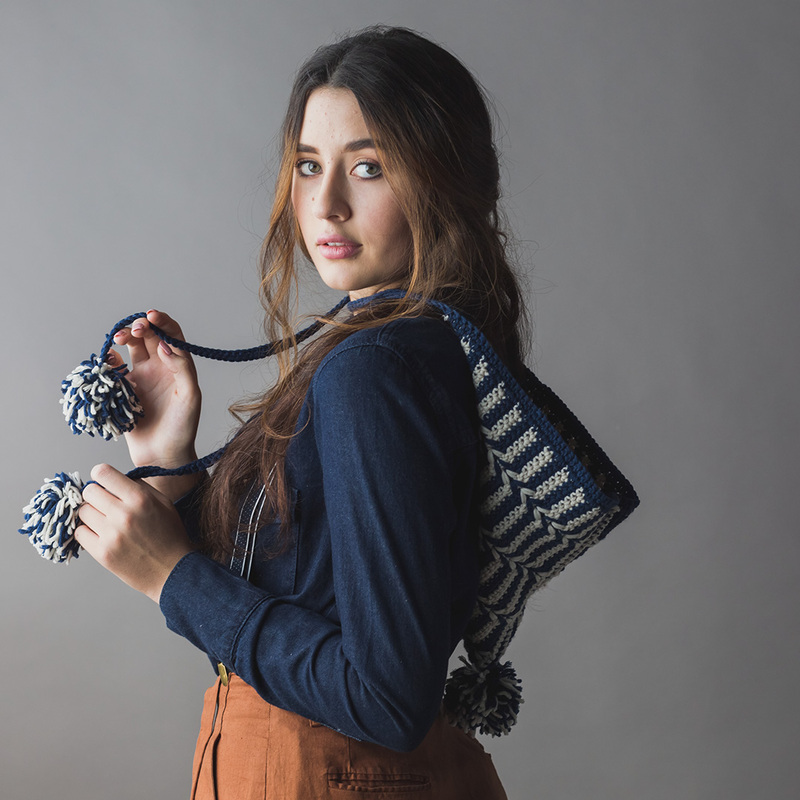 Explore more crochet patterns in Interweave Crochet!